My company all Halogen-Free PCBs are fabricated from the production lines with ISO9001 Certification, and RoHS compliance. If requested, we can fabricate Halogen-Free PCBs for our customers. What is Halogen-Free PCB material? According to JPCA-ES-01-2003 standards, Halogen-Free PCB material must be with C1 and Br not more than 0.09% (weight percentage) in the materials. The Principle of Halogen-Free PCB materials. So far, the most part of the main material for Halogen-Free boards are phosphorus or nitrogen based flame-resistant materials. When phosphorus resin is burning, the hot phosphorus material breakup into segregation phosphoric acid, which with very strong dehydration property, make the surface macromolecule resin to be carbon protection mask. The mask can isolate the burning material and air to stop the material burning. Basic Characters of Halogen-Free Materials. Because halogen atoms were replaced by P or N, the polarity strength of the resin element has been reduced some degree, the resin insulation and voltage breakdown ability have been increased accordingly. Compared with Halogen PCB materials, the N and P paired electrons of Halogen-Free resin are less, so less chances to form hydrogen bond with hydrogen atoms in water, so Halogen-Free PCB material hydroscopicity is weaker than Halogen PCB materia's. For the Halogen-Free PCBs, the weaker hydroscopicity can increase the PCB reliability and stability. There are more Nitrogen and Phosphor elements in Halogen-Free material than Halogen material, so Halogen-Free material monomeric molecule weight and Tg value are higher. When temperature is higher, the Halogen-Free material molecular move ability is lower than Halogen material molecular’s, so Halogen-Free material thermal expansion rate is lower relatively. 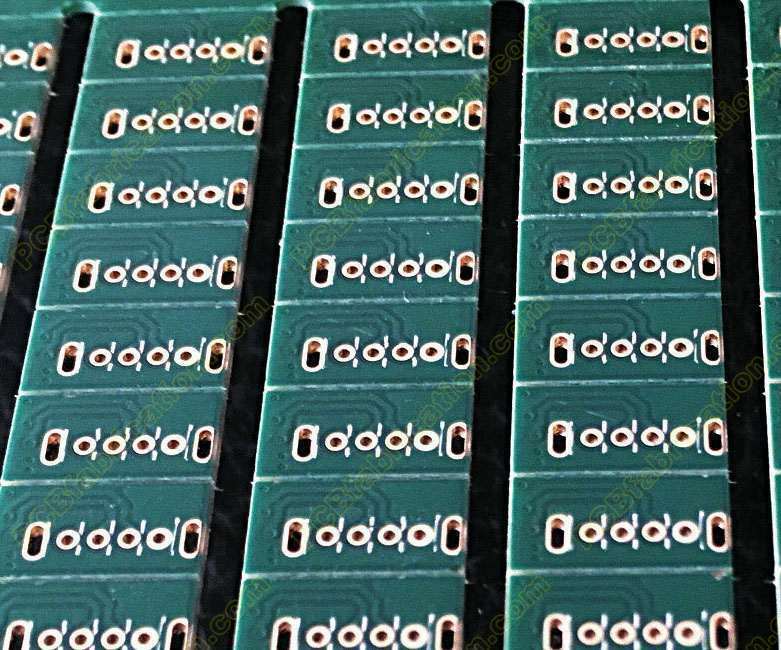 Halogen-Free PCB material lower Hydroscopicity and better for environmental protection, plus other performance meet PCB needs, more and more Halogen-Free PCBs are needed. Since 2002, my company began to fabricate Halogen-Free PCBs. In this year we began to fabricate Shengyi S1155 material multi-layer PCB fabrication, plus Nan Ya Halogen-Free PCBs. So far, there are about 20% Halogen-Free PCBs in my company total production.